You may have seen some other beautiful finds from @aaaa.pril and this skirt, which was originally from Forever 21, just adds to her list. 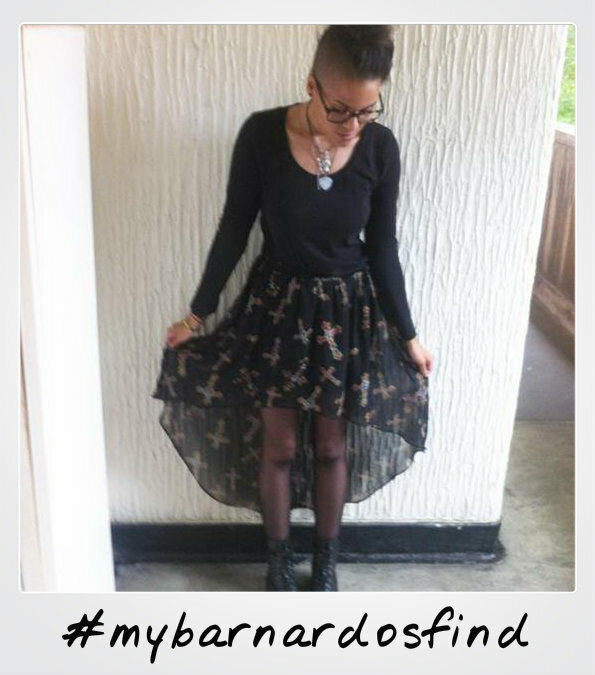 April found this lovely sheer skirt with vintage crosses in her local store and has decided to team it with a black, long sleeved top, tights and boots. In doing this, April keeps attention on the skirt and its unique print with a statement necklace to bring the outfit together. This is a fantastic way to wear flowing skirts in the colder months ahead! 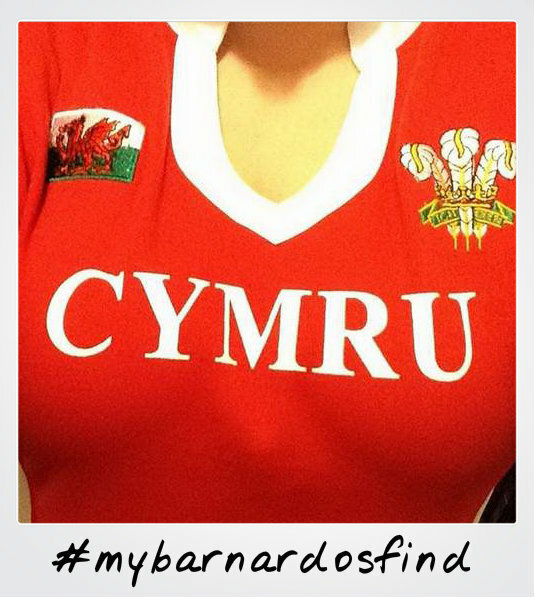 The Rugby World Cup is well under way and one of our savvy shoppers, Jolene (@jolenepontygirl) came across this rugby top to show her support for the Welsh rugby team for just £2! Moving onto footwear, these boots purchased by @hcostiganex are a perfect way to bring some attitude to Autumn/Winter 2015. 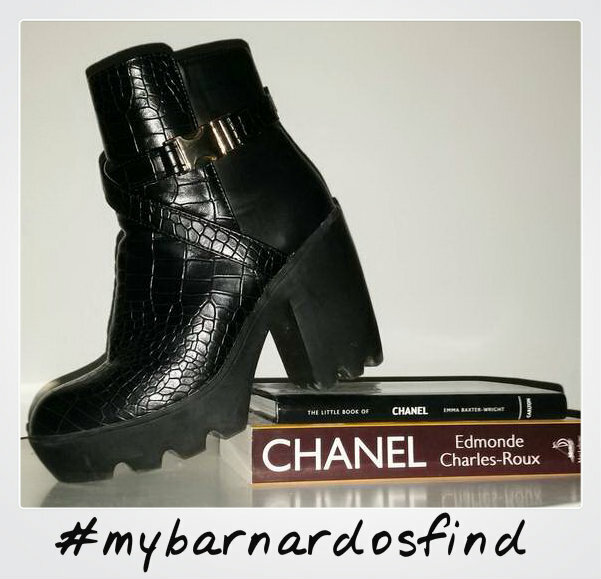 What’s great about these boots is that they can be dressed up with a little black dress and statement jewellery, or they can be worn with a more casual outfit by pairing with boyfriend cut jeans. Annette (@annette138) came across these two great items from her local store. Leopard print is a favourite of supermodel Kate Moss who currently models for Burberry, so this is a very trendy find, originally from New Look. 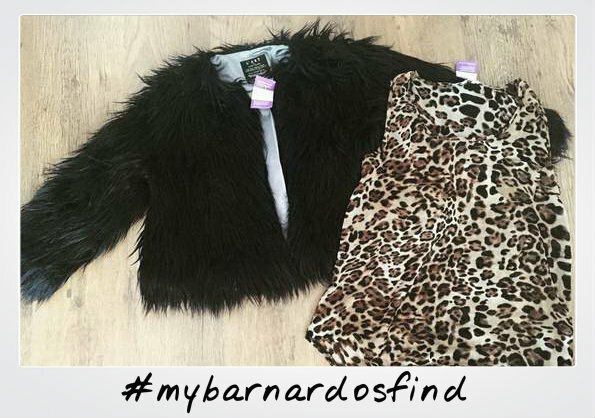 Annette also purchased a black yeti faux fur jacket while on her shopping trip – a very fashionable way to layer up and keep warm; after all Autumn is the season for layers! Our final piece this week comes from Martina Davis (TinaDavis89), who recently wrote a fantastic blog for us all about autumn/winter fashion for 2015. 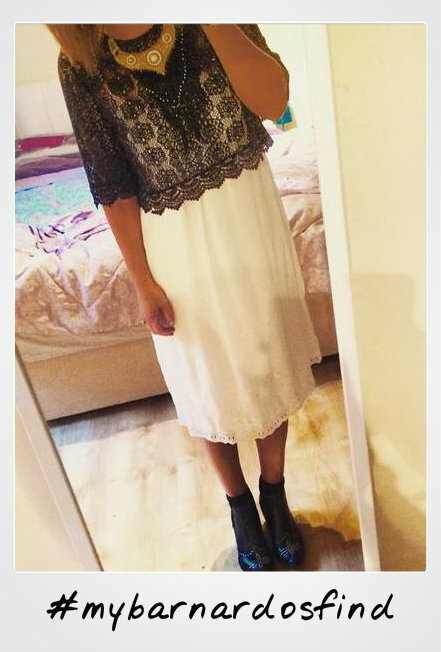 Martina came across this lovely dress in one of our stores and has chosen to layer it with a crochet crop top and necklace.